Did a lack of EIM fundamentals cost Hillary the US presidency? Last week I looked at how misinterpreting the polling data had most of believing that Trump had no real chance of winning the presidency. This same belief, seems to have misled Clinton and her team. Rather than campaigning to defend traditional Democratic strongholds – such as Michigan and Pennsylvania – Clinton and her team chose to attack in states that were more likely to go Red – Arizona, Georgia and the like. Arguably, this lack of understanding of the data may have contributed to her election loss. This was not the only data management failing that cost her campaign. 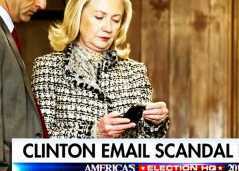 The Clinton email server scandal has plagued her for years and has contributed to the general lack of trust that many Americans have for her. Emails, especially classified emails, are data and the US government has rules in place to protect this data. yet, as in many organisations it is possible that these rules were not easily accessible or obvious. According to Clinton’s testimony there was no clear policy prohibiting the use of a private serve for State Department emails. Instead, Clinton appears to have relied on word of mouth – previous Secretary’s of State had made use of private email servers while in office. How often is this how we manage our data? Policies are undefined or ad hoc and there is no clear guideline as to acceptable and appropriate use. Or there are policies, but they are hard to find and not understood by most people. Instead we rely on word of mouth – continuing to do what we have always done. Our institutional memory perpetuates bad habits, rather than ensuring that we do the right thing. Clinton also testified that she had at no time handles classified data on her private server. When confronted with emails marked “C” she claimed that she did not know that this signified a classified document. This is not a completely unreasonable assertion – in many organisations the meaning of critical terms or policies are lost in the course of time. The original staff that “got the memo” have moved on, and continue using existing templates and definitions without understanding the context or significance. Organisations need to find a way to maintain the correct institutional memory and make it accessible. One way to achieve this is through the use of a data stewardship platform that offers the capability to both document and approve policies, rules and critical definitions, and to make them available to all staff. Of course, bad data management was not the only issue that impacted Clinton’s ability to win the election. But the email story would not go away, and helped to reinforce perceptions that she was either negligent. or downright dishonest. Clinton’s assertions that she had acted on the advice of her technical staff and her predecessors may have limited her criminal liability, but cost her in terms of her credibility as both competent and trustworthy. For South African executives the parallels are of particular interest in the context of teh King IV guidelines for corporate governance which ensures that, while Director’s may delegate Information Management ( amonst other required governance capabilities), they may not delegate accountability. Directors will be held responsible for Information Management failings in their busniesses, just as Clinton was held responsible by the American people.